On Friday Electronic Arts had a Halloween costume contest. The winners? This trio of Minecraft fans. 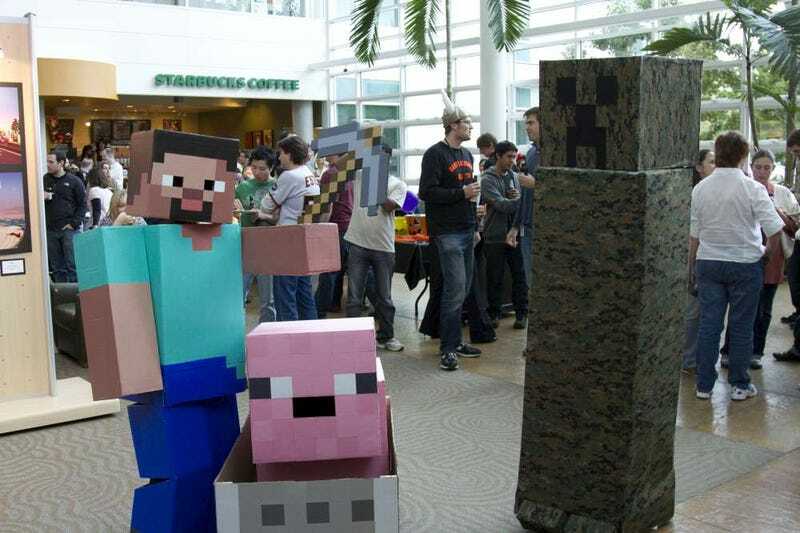 Congrats to Minecraft guy Emmy Toyonaga, Minecraft pig in minecart Charles Murakami and creeper Jack Greaves.